I made this using papers from the fabulous Simply Sweet CD. 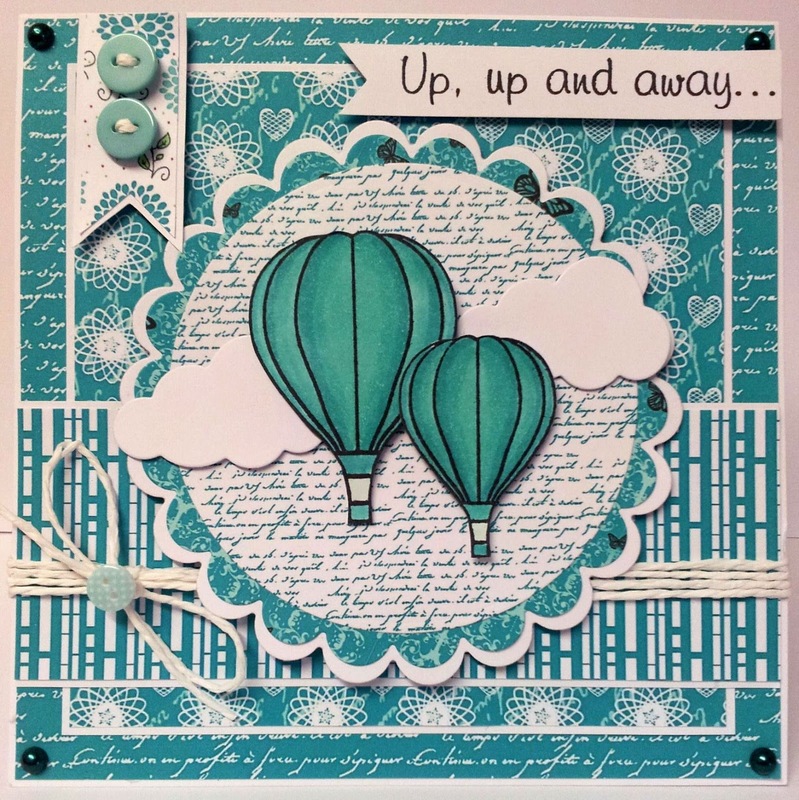 I also used the Hot Air Balloons Stamps and coloured them with Copics. You actually get 3 sizes of balloons and the sentiment, such a bargain and a must have for your stamp collection!I simply added some die cut clouds that i created with my Dienamics Cloud STAX, a couple of buttons, pearls & twine to finish.